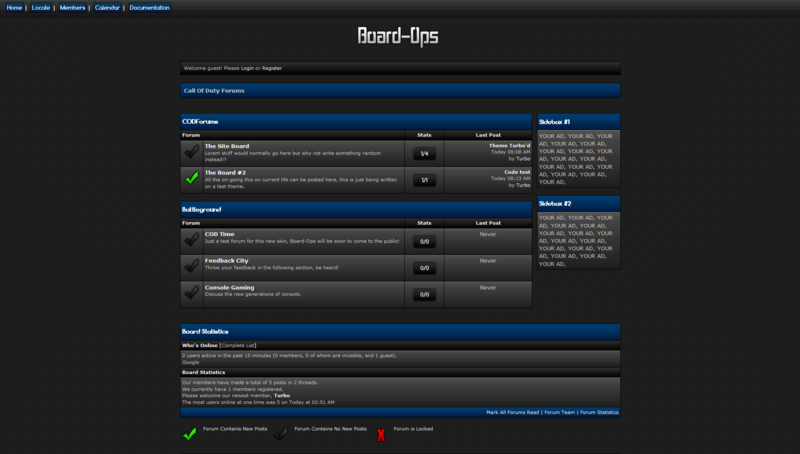 Board Ops is a premium MyBB template, primary focused towards a smooth dark blue vibe. Please sign-up before ordering, make purchased while logged in. Yeah I don't think there is enough there at all to qualify this as a premium theme. Sorry. I'm not sure if feedback is accepted here or not however. It looks good enough for a free theme. But that alone is not enough to qualify for a premium. The theme still looks too default, a bad sign for you. 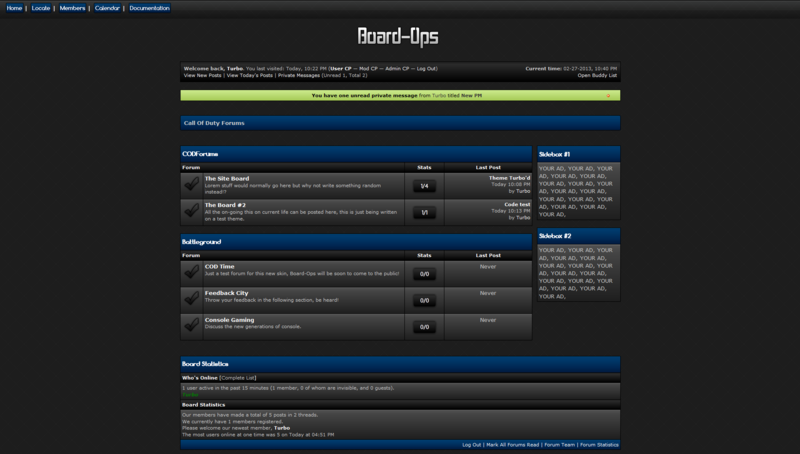 The standard of the MyBB premium went up very high in past few months, you could have sold this as premium theme few years ago but now a days your product has to be top notch. This forum is not for general discussion and any posts that are not directly related to the advertisement will be removed.